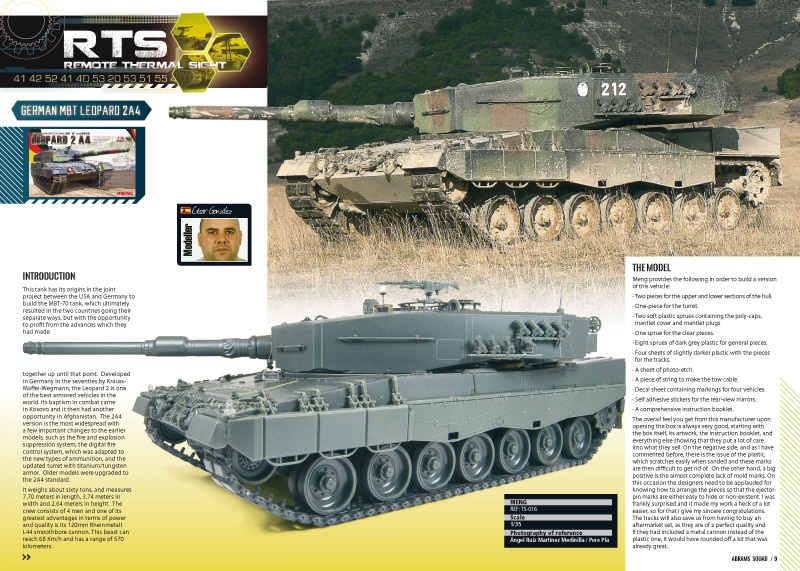 10 – Remote Thermal Sight: The Leopard tank is, without a doubt, the one with most users and multi-faceted (NATO speaking, of course) and the release of a new model become an event between modelers. 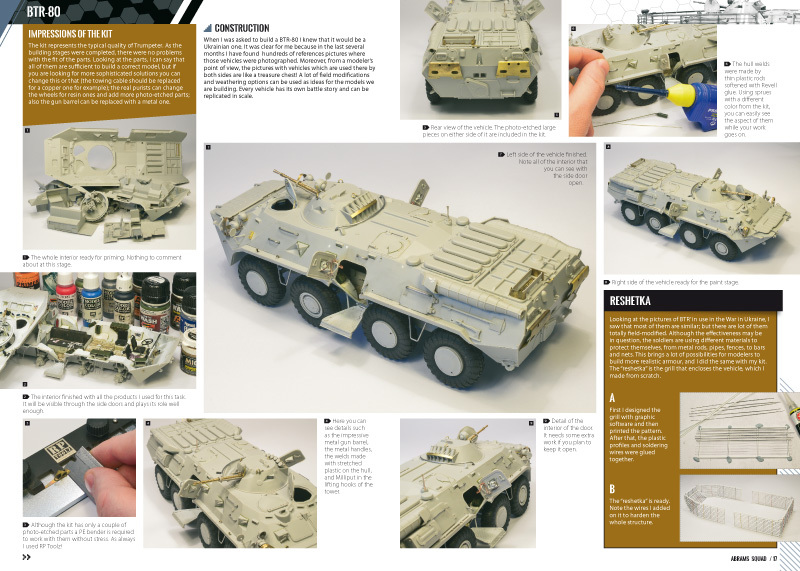 Meng has now come to us with a kit of the 2A4 version, which features great details and quality. 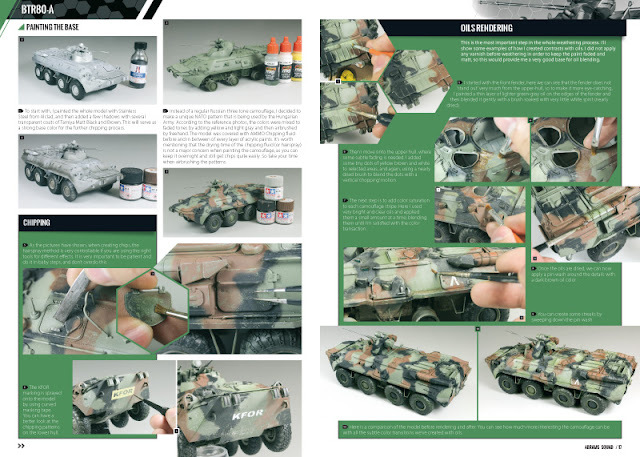 César González has managed to build-it up in record time to show you all the ins-and-outs of new release. 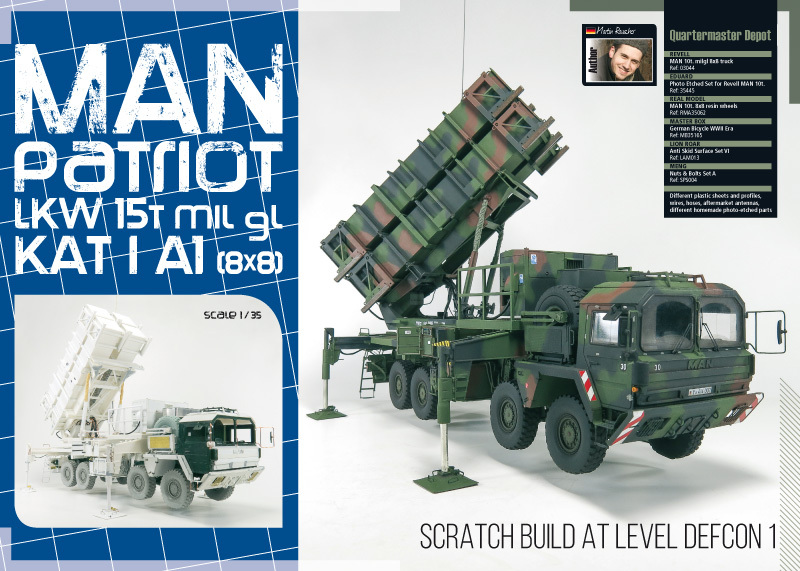 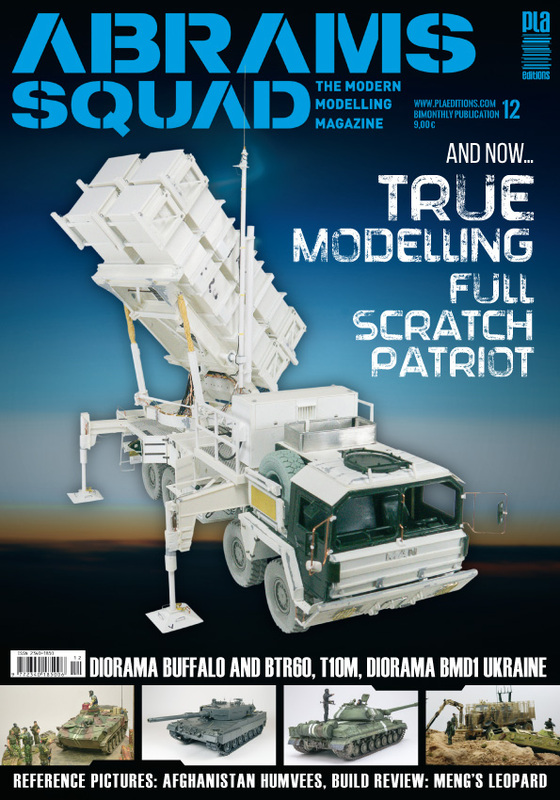 18 – PATRIOT – Scratch build at level DEFCON 1: In this new issue, the Abrams Squad crew wanted to open the publication with a job that represents, from our point of view, the quintessence of Modelling. 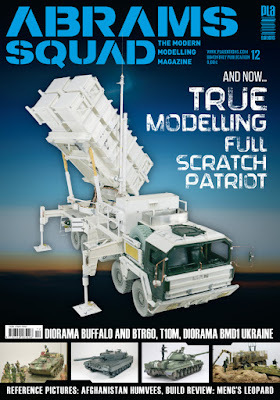 Not just a ‘fast food’ style of modelling, but Real modelling, in capital letters. Martin Rauscher brings us this with high quality project that’s needed some bravery. 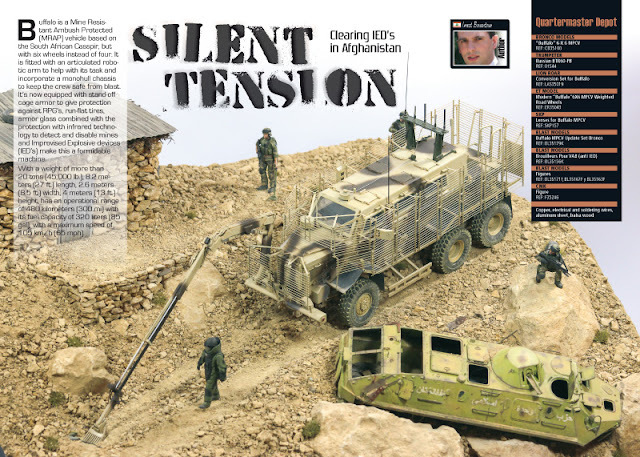 36 – Silent Tension – Diorama Buffalo and BTR-60: A diorama always catches our attention, especially when it’s crowned with two big 8-wheeled vehicles such as a Buffalo and BTR-60, moreover, Imad Bouantoun (another new member of the Squad) masterfully creates the tension during this kind of operation, deactivating IED’s! 48 – T-10M – Operation Danube: This tank is probably the least known of the Cold War era, even though it was built in very large numbers, more than eight thousands of all types in total. 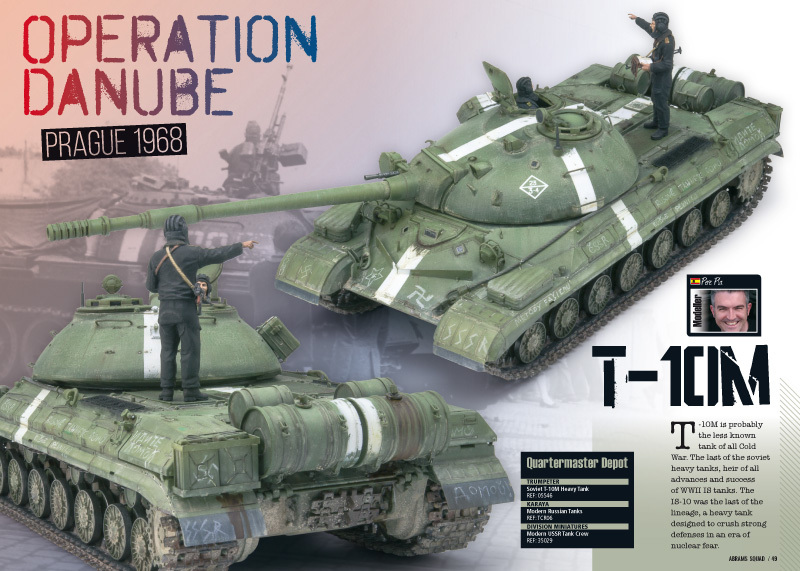 Considering this, there is very little information on them and the only photo references we found show them during the Soviet invasion Czechoslovakia in 1968. Our editor, Pere Pla, got inspiration from these photos to replicate his wonderful kit from Trumpeter. 60 – Death comes from above – Diorama BMD-1 Ukraine ATO 2014: Łukasz Orczyc-Musiałek dares with a controversial theme, being a highly topical question, but with many potential projects for modelers and with manufacturers releasing many products related to this conflict. 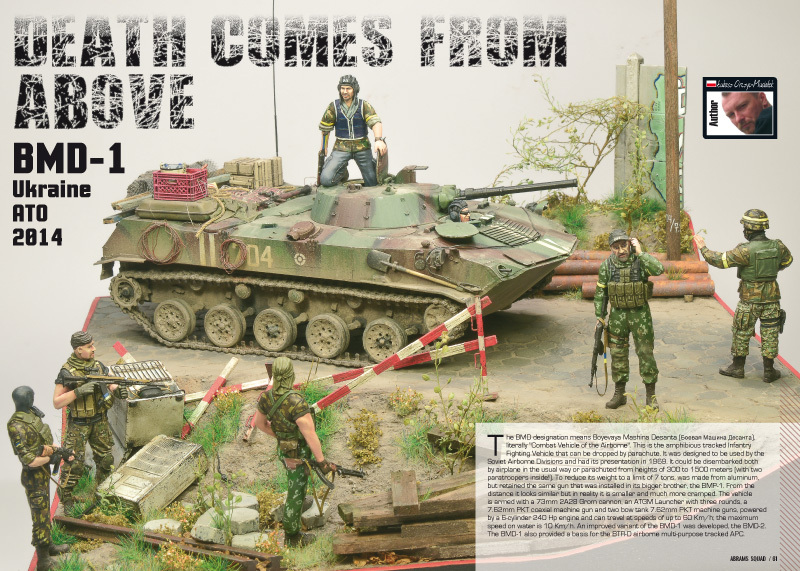 It offered all the ingredients for Łukasz to create a scene based around a BMD and no less than seven figures. 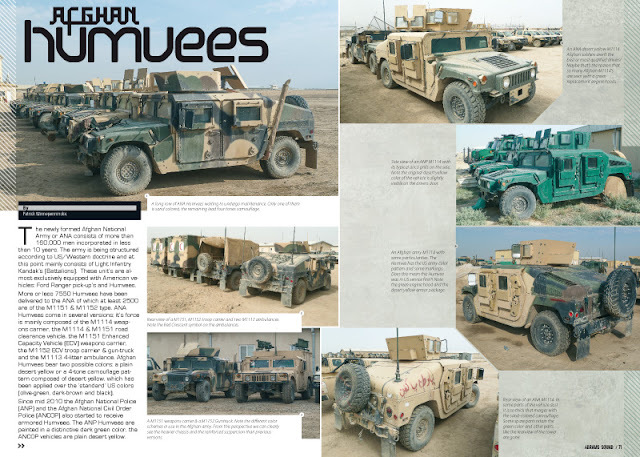 70 – Afghan Humvees: If you think you cannot be surprised by modern AFVs, well we think this article from our Belgium friend Patrick Winnepenninckx will change your mind, with these exclusive photos of various Humvees in service with the Afghan forces. 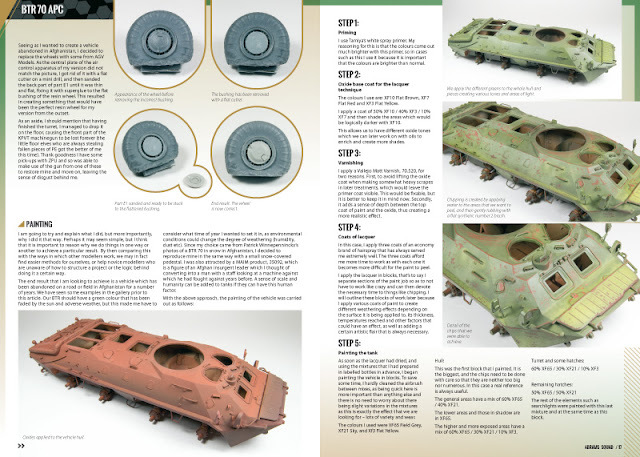 All of them are different and very inspirational. 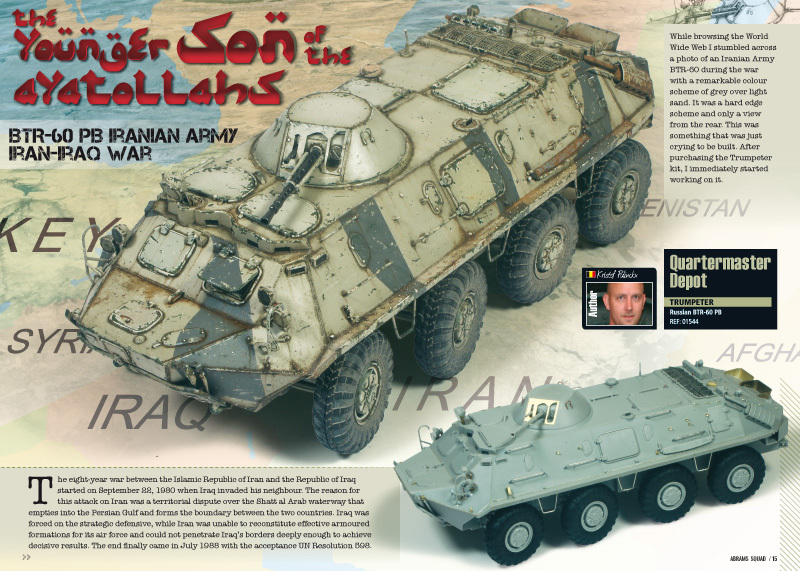 The Abrams Squad present their latest work special dedicated to eight-wheeled Russian BTR. 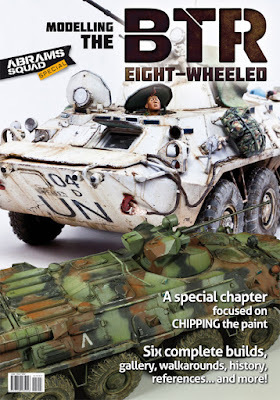 This time, the Squad have been working in the famous eight-wheeler APC of the Soviet/Russian army and bring you an special issue that cover all history of BTR from their early stages to the latest versions with dozens of pictures (walkaround and in action). 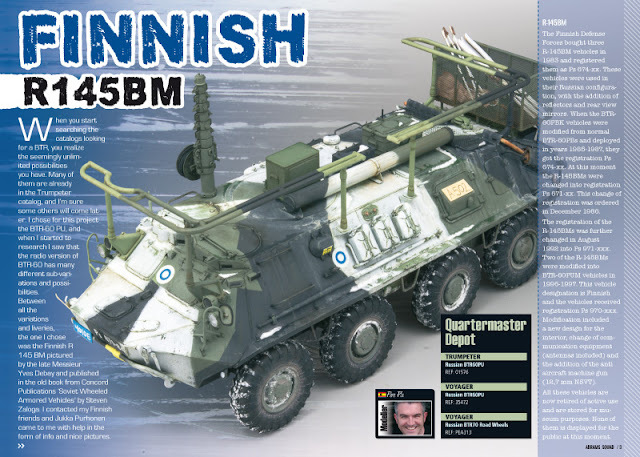 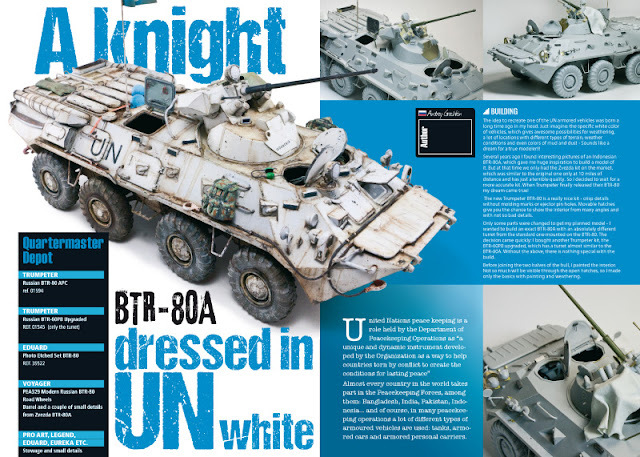 Also there are six complete articles and four short with different models, covering: BTR-60P, BTR-60PB, BTR-60PB Upgraded, R-145BM, BTR-70(2), BTR-80(2) and BTR-80A (2). 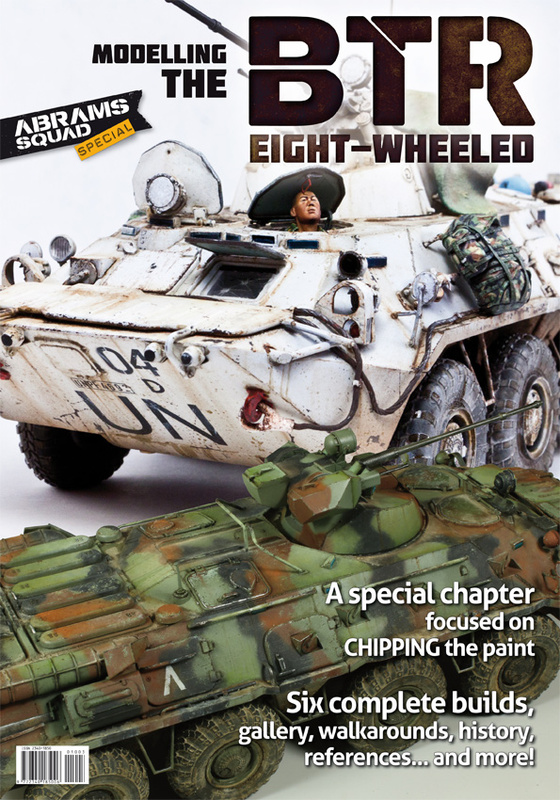 If you like Russian Armor... and we know you like it... you can't miss this one!